Ageing is unstoppable, resulting in changes in all structures and the skin is no exception. Multiple environmental factors can also affect skin quality. Fine lines and wrinkles develop, the natural volume is depleted, glandular activity is reduced and the skin becomes drier. The best solution to improve the skin aesthetics is volumenisation to create definition. 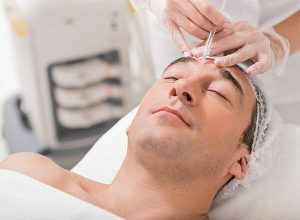 Available options for this type of treatment are autologous (your own) fat, as well as synthetic agents, the most user-friendly of which is hyaluronic acid – the main ingredient in Dermal filler injections. Now a very popular treatment in the UK, Dermal Fillers restore volume and fullness to the skin, correcting facial wrinkles and folds. This non-surgical treatment has had a very positive impact on many of our patients, improving not only their physical appearance but also increasing self-esteem and confidence. At Wentworth Clinic we offer our dermal filler procedure to both male and female patients, using autologous fat, as well as safe and natural cosmetic dermal fillers that include: Juvederm, Restylane and Teosyal – each of these well-known, trusted brands of filler are made from hyaluronic acid, a natural substance that already exists within the human body. Find out more about our dermal filler procedure below, or if you’d like to speak to one of the Wentworth team about your upcoming appointment, please call us on 01202 422171, or fill out one of our contact forms and one of the staff will respond to your enquiry shortly. Our qualified surgeon will examine your skin and recommend the best possible filler for you. The benefit of using your own fat is that large areas can be volumenised with minimal side effects. 50% of the grafted fat will survive by taking on local vascularity. We will explain the procedure to you, including the benefits and down time of the treatment. Once you are happy with your treatment plan then we will go ahead and schedule your dermal filler appointment at our Clinic in Bournemouth, or the Harley Street location. If hyaluronic acid filler is placed, you can return to work immediately. If fat augmentation treatment is carried out you will experience some down time and should take leave for approximately 7 days. Full information and instructions will be provided to you at the time of your consultation at the clinic. What is the difference between anti-ageing injections and dermal fillers? Whilst anti-ageing injections relax the muscles and soften the skin, a dermal filler injection will fill the space where lines and wrinkles have appeared, and unlike collagen products, these fillers are free from animal products. What is the most common synthetic filler? Restylane and Juvederm maintains the shape using the bodys’ own moisture. The hyaluronic acid gradually degrades and each molecule binds to more water, over time the same volume can be maintained with less hyaluronic acid. This ability of hyaluronic acid to bind to water is what helps provide lasting results. This varies from patient to patient as we all have a different threshold to pain. There may be some discomfort as the filler is injected directly into the skin. To aid with your comfort, your Surgeon may numb the area prior to treatment. And if Juvederm is the filler being used then this already has local anaesthetic in it. Results are immediate, and generally, our dermal filler treatments last approximately 6 months, though it does vary from patient to patient.